WinLock is a comprehensive security solution for personal or publicly accessible computers. It is a program that ensures that only authorized people can access sensitive information on your computer. 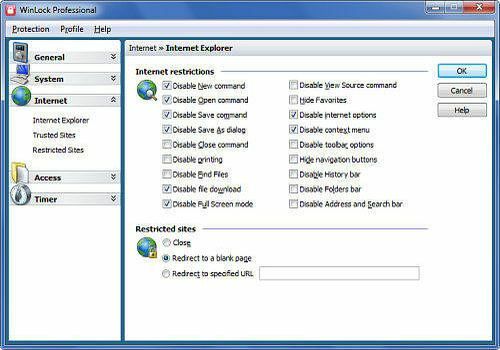 With WinLock, you can control how long others can use your computer, disable Windows hot keys (such as Alt-Ctrl-Del, Alt-Tab, Ctrl-Esc, etc. ), lock Windows desktop, hide the Start button, lock files and folders, filter Internet content and much more. EfreeSoft Boss Key allow you to hide active program window immediatlly using a hot key!Everybody should have such program for personal privacy.